shearing. 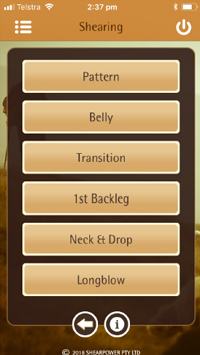 PLUS: the Shearing app now includes the Tally & Wool Book for FREE! 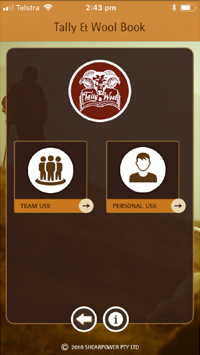 Welcome to the all NEW, one and only Shearing App! 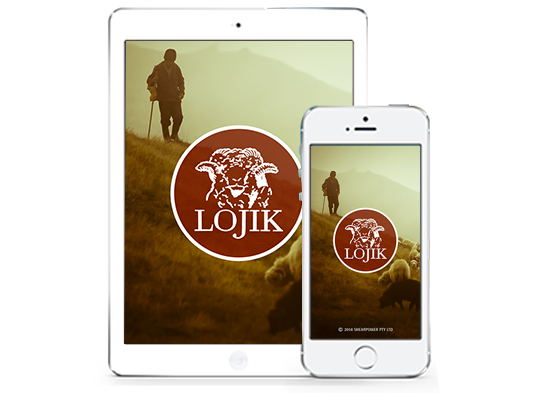 Shear Power Pty Ltd & LOJIK have been actively training shearers worldwide for over thirty years and are innovators in bringing industry functionality and shearer training to the modern digital era. A new shearing tally and wool book app – the Shearing App – that provides a singular destination to record and display shearing information has been commercially launched on the market. 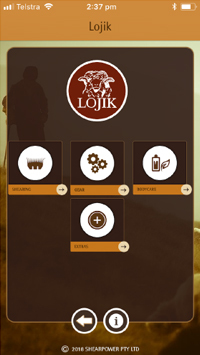 A NEW app aims to turn the shearing industry electronic. 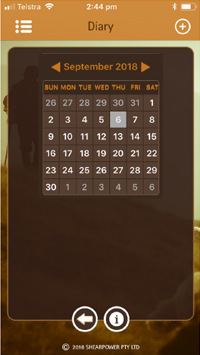 The Shearing App is an electronic version of the shearing tally and wool book, providing a place to ­record and display shearing information. Watch & learn about shearing patterns, sections of the sheep, tips n tricks and speed shearing techniques. 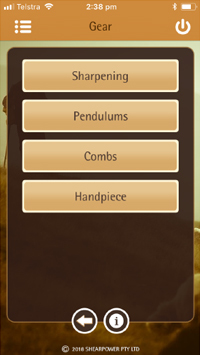 Information & tutorials about gear sharpening, pendulums, combs and handpiece’s. Information & examples of how to keep yourself in shape using exercise, stretching, nutrition and more. Packed with information including personal best tallies, customer feedback and People that make our industry great. Property & Owner details, shearing Start & End Dates. Sheep Mob details including ID, Name & Pay Rate for all Mobs on each Property. All relevant Employee information needed for the Tally Book & Report functions. Keep a detailed record of sheep numbers per Day , Property, Mob & Shearer and the Runs being worked by Wool Handlers & Shed Staff. Record & Save any Property specific Incident as required. Generate a comprehensive Payslip for each Employee, including Gross, Net, Tax, Super, Allowances & Deductions. Personalised Property information including Names, Dates & Payslip Report data. 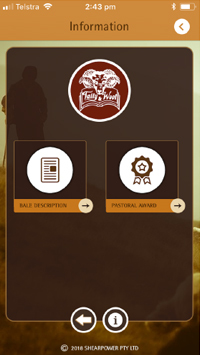 Keep a detailed record of your work as a Shearer, Wool Handler or Shed Staff member including sheep numbers or Runs. Generate a comprehensive Shearer Statistic or Payslip Report. Keep a comprehensive personal & workplace diary for planning & future reference. Capture & Save important Photo & Video files using your devices camera. Access the latest Bale Branding information & up to date Award Rates of Pay. 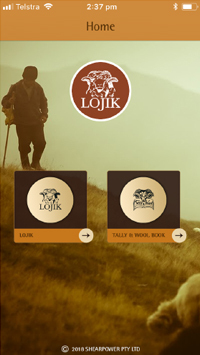 - The app can be logged into and the Tally & Wool Book functions utilised regardless of internet connectivity. 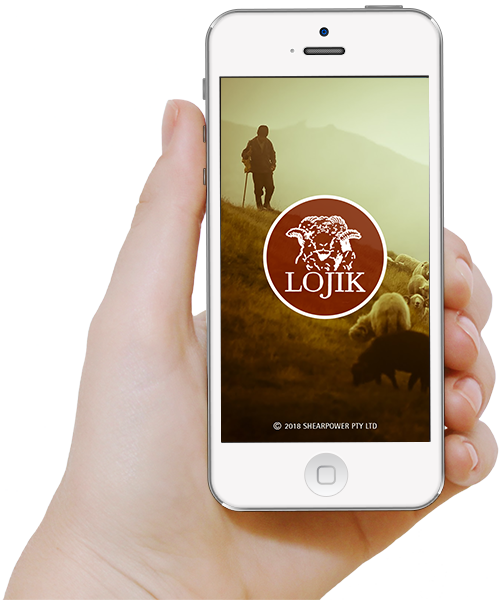 - Internet connectivity is required to utilise the Lojik section of the app. - If remembering a password is an issue, please tick the box 'Remember my login details' on the the login screen. - To start using the Tally & Wool Book section of the quickly, only fill in the information fields marked with an asterisk ' * ' symbol. - To utilise the 'Payslip' report feature enter a Pay, Tax, Superannuation, Allowance or Deduction amount. - To save and/or send any required information stored in the app, simply take a screenshot and send via email, message or text. - If you have forgotten your password, select the 'Forgot Password?' option on the login screen to access your details via email. - If the info saved in your Tally & Wool Book section of the app is required between subscription renewals, ensure screenshots are taken and saved prior to subscription expiry. 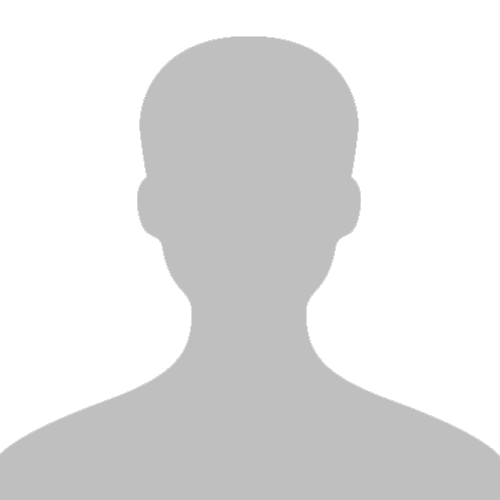 - Click here for support and feedback.